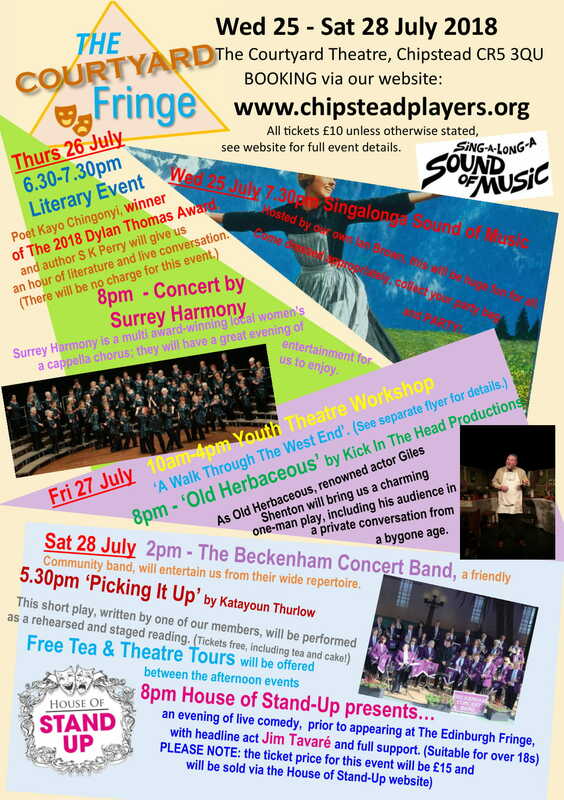 Chipstead Players are delighted to be hosting 4 days of fantastic entertainment, workshops and theatre tours. Tickets are now available for all events, please follow the links to find out more. Please note that all events are bookable, even those which are free of charge. Scheduled acts and dates as follows.